Need to find a plumber who offers a fast response, competitive prices, and a cheery work ethic that will ensure you choose them for all your plumbing jobs – for life? Luckily for you, you’ve found H2-Pro Plumbing! Mitcham is a diverse suburb full of both young and old. It is interesting to learn that, according to data collected in 2011’s Census, 77% of dwelling types in Mitcham are separate houses. Just 9% are flats, units, or apartments, while a small 7% are semi-detached houses like townhouses. Further, 39% are owned outright, like 38% are owned with a mortgage, and the rest (18%) are rented. With a struggling market and the price of real estate in Melbourne soaring, we can assume that a vast majority of the homes that are owned outright in Mitcham err on the older side. With age come problems, especially in plumbing. So if you’re worried about the state of your home’s plumbing, call a Mitcham plumber today for immediate advice and solutions. Residents in Mitcham and Donvale are now being invited to connect to Yarra Valley Water’s new sewerage system! The connection affects those living near Eastlink – residents should have received a letter from Yarra Valley Water informing them that they are now ready to connect. Didn’t receive a letter? You may not need to connect. But if you are unsure or need any advice, don’t hesitate to get in touch with the experts at H2-Pro. Call the H2-Pro team now for advice and guidance throughout the connection process. Call us now on 9844 1444 or fill in this form and we will be in touch! Plumbing problems aren’t just limited to business hours. Accidents, leaks and disasters can occur at anytime! 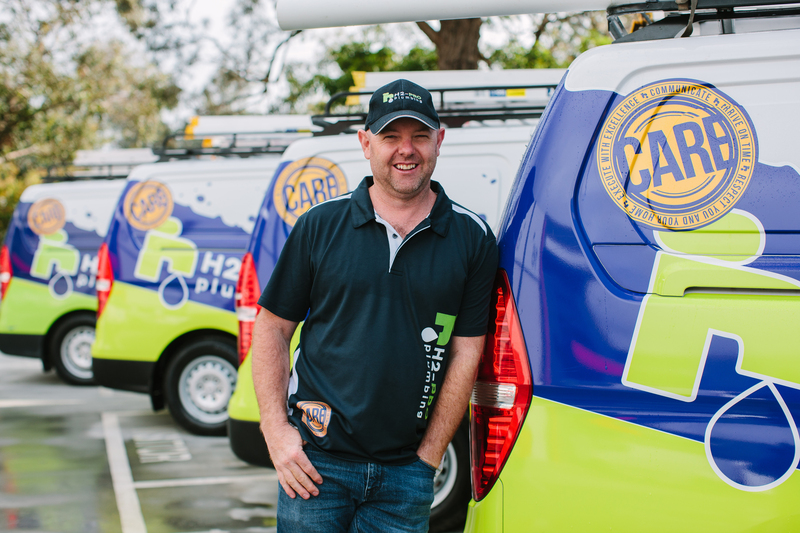 H2-Pro’s team of qualified plumbers is available 24/7, every day of they year – public holidays included! So if you’ve ever wondered how to solve plumbing problems after hours or on a weekend, you can call H2-Pro for emergency plumbing in Mitcham. The bottom line is that plumbing, like almost any other material in the world, deteriorates over time. However, proper maintenance is definitely key to prolonging healthy plumbing, as is preventative care. If you suspect something in your home (or you’re spotting signs like a higher water bill or damp walls and ceilings), call a qualified plumber who will help identify any underlying plumbing problems. We’re here to help you 24 hours and day and 365 days a year! Contact us here or call now: 9844 1444. Distance from H2 Pro? Located just a few kms away in Warrandyte, we’ll be there to solve your plumbing problems. Older makes of these pipes were often constructed from clay, and clay is susceptible to cracking as well as root intrusion. One of the more frustrating things in life, poor water pressure can be due to corroded pipes that impede water flow. A drain camera can inspect and determine an underlying issue. If you notice a yellow or brown tinge in your water, that might be a sign of rust build-up in your pipes. This is a common sign of pipe decay.